CeX is a quick way for you to exchange your old technology for cash. Bring in a range of tech, gadgets and entertainment products, including cell phones, video games, computers, digital electronics, TVs and monitors, and music CDs and get money in return for these products. You could even buy some of these products from the stores. It's all about the CeX here! 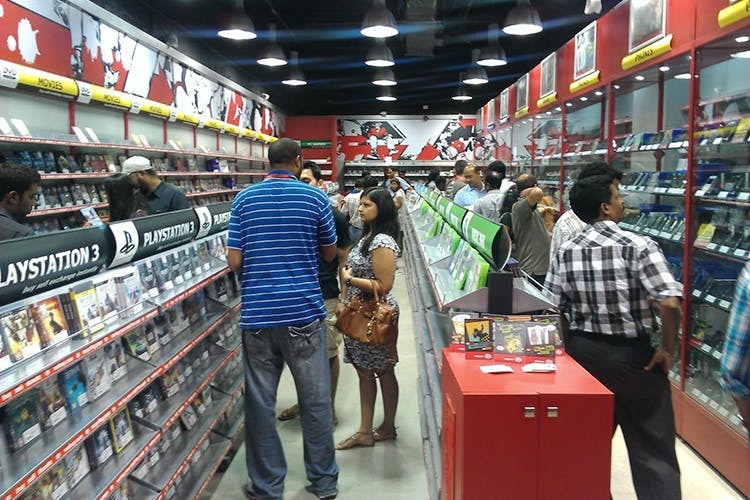 They buy and sell used technology including phones, gaming consoles, laptops, games and so much more. Sometimes it’s just about the experience and not the splurging and with CeX, you can do exactly that. If you don’t want to spill the cash on an expensive model but maybe settle for the next best thing and then look to upgrade later, you should visit. You could even buy a spare phone and these guys has some great phones at lower prices. They take your old tech, verifies it with set parameters. Games, phones and other electronics have set parameters based on boxes, manuals and accessories — and how well it has been maintained. They then put a price on to the product and if you’re happy with it, hallelujah, you’ve got some cash! You also supposedly get the best price quote that CeX can offer. Gamers, there are PlayStation and Xbox games here for super cheap prices. They have loads of phones, games, consoles, headsets, WiFi dongles, pen drives, cameras, iPods, memory cards and so much more! All the products that they sell here and buy are original and are not knock-offs. The prices are just and authenticity is necessary. They will buy the product from you if it doesn’t have the original box too.